Full Plate Farm is Laura Hecht and Matt Crowley. We've been farming together in one way or another, since we met in Oregon in 2001. From there, we traveled the country, worked as farm hands, cooks, bicycle mechanics, carpenters, and street musicians (among other things) until we finally settled in the Brattleboro area in 2009. Here we figured Matt could pursue his interest in sustainable design at Yestermorrow design and build school while Laura pursued her dream of learning trapeze at the local circus school. Little did we know we'd finally found a home! 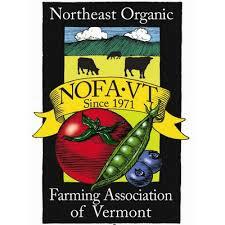 Since then we worked at several farms in the area, eventually landing at the Vermont Agricultural Business Education Center, where Matt managed the Food Connects School Harvest project and UVM Extension Youth Agriculture Project while Laura started Full Plate Farm. We had long dreamed of owning our own farm - and farming leased land was the first step to making it happen. In 2015, we were selected to purchase a conserved property from the Vermont Land Trust. Our dreams of owning our own farm finally came true! We worked hard renovating and preparing to grow on the new farm, and are still working to make it better every day. We feel so lucky to be able to be here now, and are excited to share this new and awesomely beautiful place with you! We care deeply about providing access to healthy nutritious food, and believe that caring for the land is the way to do it!